§ Philippe here with some small press & indie comics update, albeit a few days later than usual. 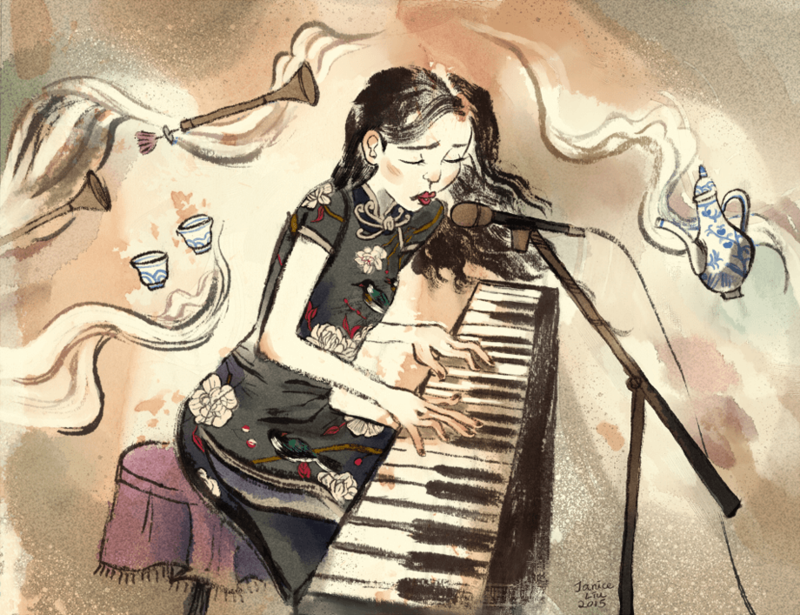 This month’s nice art section comes from Janice Liu, a Vancouver-based comic artist and children’s book illustrator whose work focus on fantasy and Asian culture. I like the lightness of her colours in her work. § We’ve talked earlier this month with Marnie Galloway and I encourage you to go check out her Patreon page. She’s quite candid with what the funds are being used, notably, allowing her to put her child in daycare so she can be free to work on her comics. I’ve been a father for over a year and I can fully appreciate the importance of daycare for kids. It socializes them, allows them to develop new skills and learn from older kids. For the parents, it also allows to gain time to do things you couldn’t do otherwise, or at least not easily. I hope you can take a look at her request and contribute if you can. § There’s other Patreon of note that launched this month. Sophie Yanow is serializing her new graphic novel directly on Patreon, Leigh Luna is providing insight into her upcoming graphic novel and updates on her webcomic Clementine Fox and finally, Chu (aka Ghostspaces) is seeking help to work on longer term projects. § Girls with Slingshot is an unmitigated success and there’s still time to contribute to the crowdfunding campaign. § UK cartoonist Rachael Smith is crowdfunding a special edition of her comic Wired Up Wrong. I got a copy of the original comic at this year’s TCAF and thought it was a really moving work. I’m looking forward to seeing a longer edition of the same work. § I was browsing through the CBC’s writers and company podcasts to listen to the Philip Roth episode and stumbled across a series of interesting interviews with cartoonists. Lynda Barry, Riad Sattouf and Reinhard Kleist talked with Eleanor Wachtel over at CBC’s Writers and Company over the the years. They’re worth a listen as Wachtel goes through the career of each cartoonist, their influence, the way their work was developed and the content of their graphic novels. § Julia Wertz provide an early look at her new book Tenements, Towers & Trash. I’m eager to see this book as Wertz relationship with New York was explored from a very personal point of view in her previous books and particularly in Drinking at the Movies. I’m looking forward to seeing what she does with a graphic novel focusing on architecture and history. It’s a complete change of pace from her more autobiographical work and seems quite suited for her skills. § The Ottawa newspaper Ottawa Citizen profiles David Alexander Robertson’s graphic novel Betty: The Helen Betty Osborne Story. For those unaware, Canada is currently leading a sweeping national inquiry into missing and murdered indigenous women and girls to tackle the the systemic causes of all forms of violence against Indigenous women, girls and members of the LGBTQ2S community in Canada. The Helen Beatty Osborne Case is in many way a precursor to this inquiry. Helen Beatty Osborne was a teenage girl who was kidnapped and murdered and the case took 16 years to be concluded to very little effect, angering many and leading to a commission determining that the Canadian Justice system was taking so much time to deal with indigenous case due to racism and indifference toward those communities. The article talks about the case and the reason why David Alexander Robertson thought this story was so important to document in graphic novel format. § Meags Fitzgerald was interviewed over at Design Feaster. She talks about her career and I want to say process, but it’s more about the actual work ethics and process, rather than creative one. Worth a read. § Sophie Goldstein’s newsletter is live. You can get very thorough update on her work every month directly in your inbox! § Montreal-based publisher La Pastéque is getting into comics reportage in partnership with Atelier 10. This new line of comic should be coming out in Spring 2018. § Koyama Press anounced a new line-up for winter 2018. 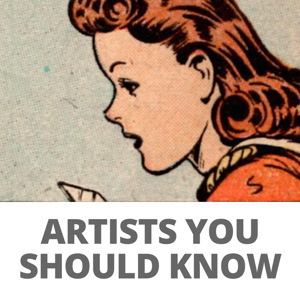 This includes new work by Ben Sears, Michael Comeau, Michael Deforge, Fiona Smyth, Jessica Campbell and A. Degen. Head over to the link for more details and some images. § There’s lots of horrible stuff happening in the world right now, but I want to focus on Venezuela and the aptly named comic What’s going on in Venezuela by Jon Carvajal over at The Nib. It’s a good account of the ongoing deterioration of the country’s economy, democracy and living conditions. One readers should familiarize themselves if they don’t know about it already. § The Comics Workbook Composition Competition has concluded and all 47 entries to the comics workshop composition competition are available online. You can see all of the entries, but should you wish to narrow it down, the three winning entries were those of Sienna Cittadino (Girl’s Bathroom), Chris Kohler (Living Room) and Sara Sarmiento (Deep Clean). § Farel Dalrymple has a new online serialized comics called Proxima Centauri that launched earlier this month at Study Group Comics. So far it’s amazing and I enjoy how it ties into his comics masterpiece The Wrenchies. That’s one item to bookmark and revisit monthly. § Katie Knecht illustrated a painful memory in a comic called Peace in the Valley over at Mutha Magazine. § Julia Wertz talking with her ma over at The New Yorker. Her upcoming graphic novel is coming out at the end of the month. § Osvaldo Oyola talks about Astro City and the character of Jack-in-the-box and how it relates to the concept of “legacy” characters (the mantle of a hero passed on to someone else) and how it relates to the marginalization of Black Americans. I’m not particularly familiar with Astro City, but this kind of articles makes me want to take a closer look at this series. § Kim O’Connor talks about Simon Hanselmann’s Portrait and it’s relation with criticism and the intersection of niche knowledge and understanding levels of meaning behind certain event or work. § Joe Kessler, the art director of UK’s Breakdown Press picks his most prized comics over at It’s Nice That. 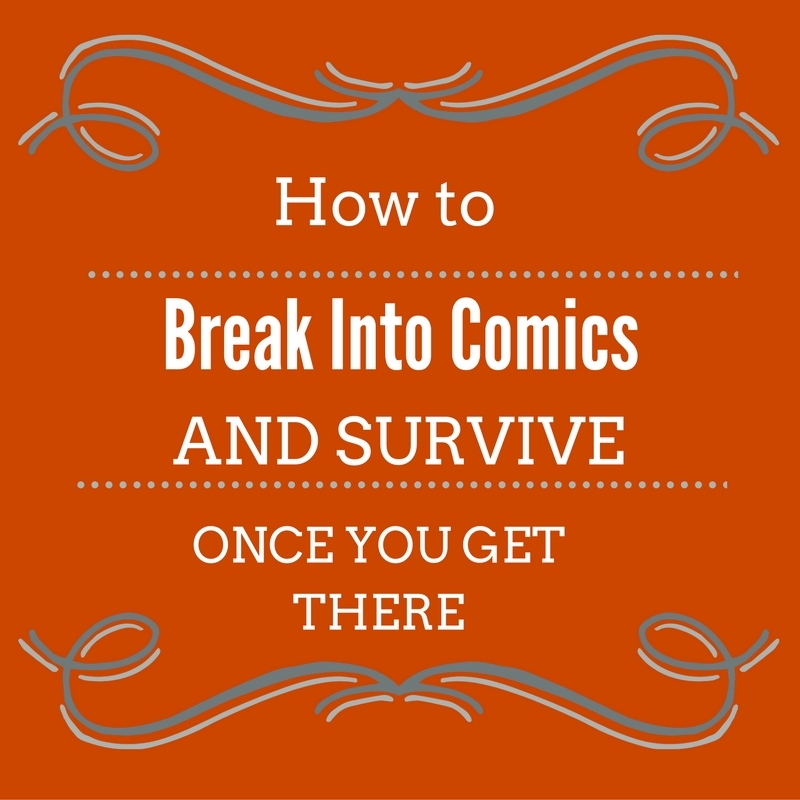 An interesting look at a group of comics that stray far off the beaten path. It’s also good to see how these kinds of books shape the way Breakdown Press selects projects, and how it influences their publishing aesthetic. § RJ Casey reviews the books from Yoe Books, a sub-imprint from IDW. This article brought in over a hundred comments over the Comics Journal earlier this month. If you haven’t read it yet, and the ensuing arguments raging in the comments, you should check it out. I won’t throw oil on this particular fire, but the tone of the piece, coupled with allusions that similar projects from a TCJ collaborator was halted post-release of a Yoe Book made the piece feel quite weak. Particularly as someone who’s not really familiar with Yoe Books, I had a hard time parsing what exactly made these books poor, or at least, poorer than say other publishers reprint of similar material would have made them. A clearer argument could surely have been made. I’ll let you judge for yourself. § Two reviews of some of the latest Peow Studio release. First up is Daniel Elkin on Stages of Rot, the latest Peow Studio release. I’ll be taking a closer look at this comic in the coming weeks. It’s excellent. Next we have Alex Hoffman taking a look at Dust Pam over at Sequential State. § Sara Lautman provides a summary of some the best small press comics of the year so far. Sara was one of the judges for this year’s Ignatz award and here she provides a good overview of the nominees as well as a good starting point to explore phenomenal comics.